in the freight rail sector! 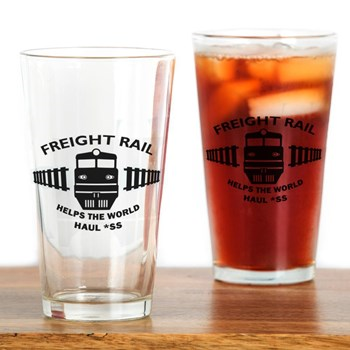 If you are a marketing manager in the freight rail sector who is thirsty for creative (yet industry savvy) marketing ideas -- send SMS an RFQ now through Aug 1st, 2018 and get this nifty pint glass... Free! The brief form below captures your mailing address (for mailing your pint glass). Submitting it will then link you to our downloadable and confidential RFQ form (or send your own RFQ form if desired to info@onlinesms.com). Contact Smith marketing services today for a free, initial consultation.